The veterans lead at the Paris Chess Grand Prix after four rounds. Both Vassily Ivanchuk and Boris Gelfand have three points each. Hikaru Nakamura and Fabiano Caruana are just half-point adrift at 2.5. 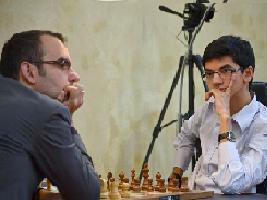 In the fourth round, Cuban Grandmaster Leinier Perez Dominguez beat Anish Giri for his first win in the event. Replay the game with Chess King below. The Paris Chess Grand Prix event has begun. The first round had exciting games even though only one proved to be decisive. 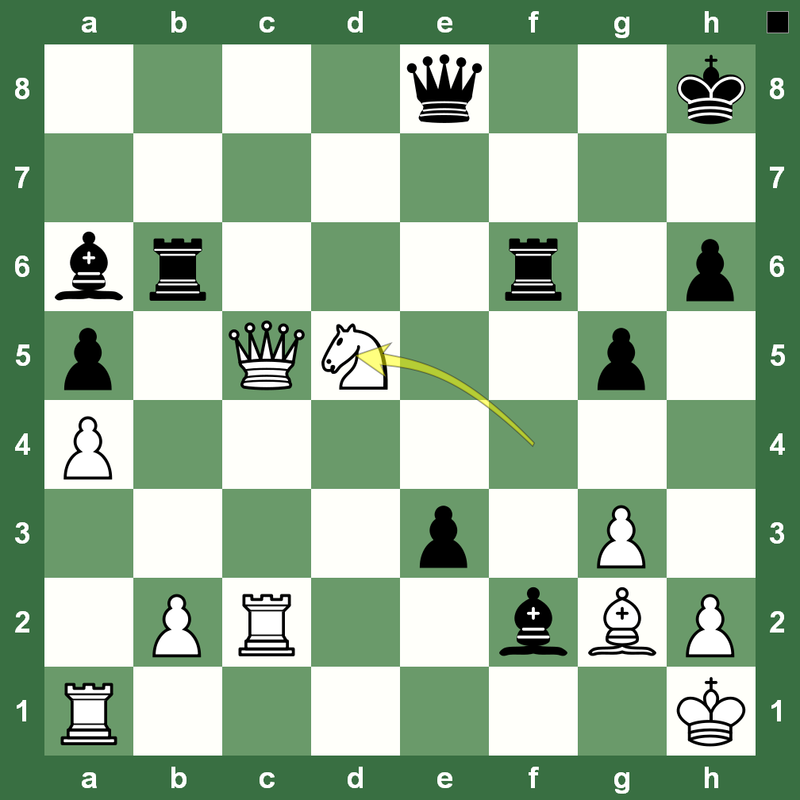 Here is the game Boris Gelfand – Anish Giri 1-0. It was a Slav with 4.e3. Anish Giri went for an exchange sacrifice, but failed to earn the compensation that should have come in. Boris Gelfand has enough experience to pull in a victory from such situations and he followed suitably. Replay the game with Chess King. Commenting for the official website of the Paris Chess Grand Prix, WGM Alina l’Ami wrote: In the game 28…Qd8 was played but 28…Qc5 is perhaps better, preventing the regrouping Bf1, and later on it was essential to play g5 in order to stop f4 and h4. 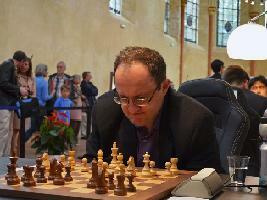 Gelfand then confidently pressed to a win. In their previous encounters, Giri had scored two full points with the same colour of today’s round: Black! Maybe the Dutch should have remained faithful to his Dutch opening from Beijing. 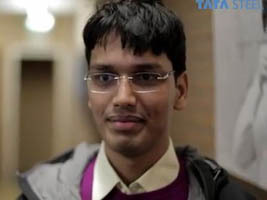 The 75th Tata Steel Chess began in Wijk aan Zee with two decisive games in the first round in Group A. Anish Giri was cruising along and could have squeezed out a draw against Pentala Harikrishna, but the latter’s patience eventually earned him a win. Here is the game you can watch with Chess King and watch the post-game video with the winner. 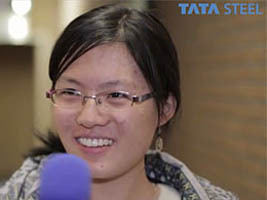 A report on the first round of the 2013 edition of Tata Steel Chess is available at Chess Blog. The position on the left is a won endgame by White from Hikaru Nakamura-Anish Giri at the London Chess Grand Prix Round 10 (Report on Chess Blog). 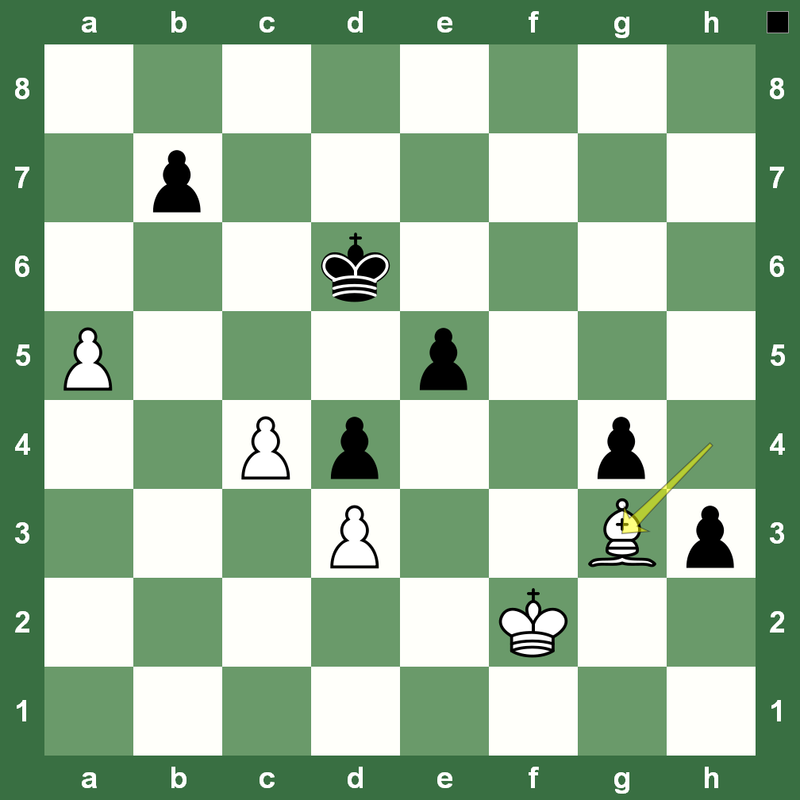 However, this endgame comes with some great ideas going back all the way to 37.h3. See the position below. In the position on the left, Anish Giri has just played 33.Nd5 forking the Black Rooks. Black actually already has a plus, but from now on it’s sheer technique and a clear-cut killer winning plan. Don’t worry about calculating all the next 10 moves, just spot the magic move here and the right rough plan for Black! Replay the full game with Chess King. 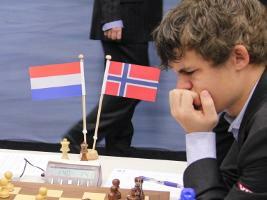 Read the Round 10 report from the 40th Chess Olympiad on Chess Blog. 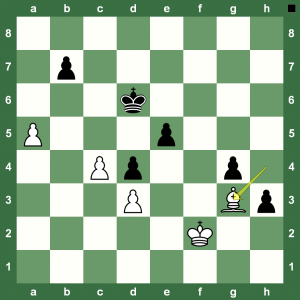 If Black tries to save Rbc6, it’s a draw and if Black tries Rfc6, it’s even a win for White! 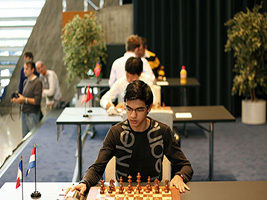 The Biel Chess Festival is a round-robin among top six GMs – Magnus Carlsen, Hikaru Nakamura, Anish Giri, Etienne Bacrot, Wang Hao and Viktor Bologan. According to the traditional standings after eight rounds, Magnus Carlsen leads with 6.0 points. Wang Hao and Anish Giri have 5.5 points each. Hikaru Nakamura is on 4.0. Etienne Bacrot has 2.5 and Viktor Bologan, who is filling up for Alexander Morozevich, has 0.5. 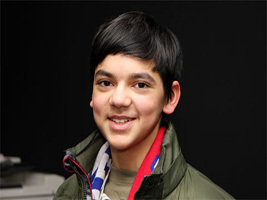 The Biel Chess Festival at present has Wang Hao in lead and Anish Giri just half a point behind. The 2012 Biel Chess Festival is taking place from July 23rd to August 2nd with a double round robin Master Tournament including Magnus Carlsen, Hikaru Nakamura, Viktor Bologan (in place of Alexander Morozevich), Wang Hao, Etienne Bacrot and Anish Giri. Here is a nice Round 6 game that gave Anish Giri a win to move into second place despite Bologan’s tough fight. 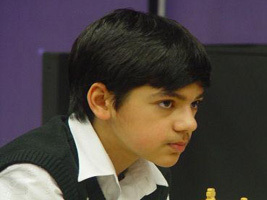 The Biel Chess Festival got a new leader after Round 4 on Thursday. China’s No. 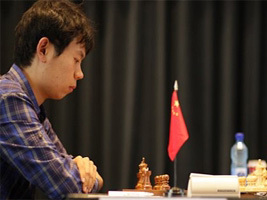 1 Wang Hao beat Dutch Chess Champion Anish Giri to tally 9 points out of 4 games. Hikaru Nakamura won his first game, against Victor Bologan, while Etienne Bacrot and Magnus Carlsen drew their game. 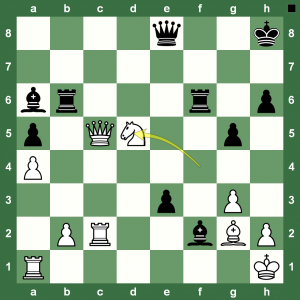 Here is the Giri-Hao game with Chess King – your best chess training partner on the planet! The earlier Wang Hao-Hikaru Nakamura wild game won by the former is here. 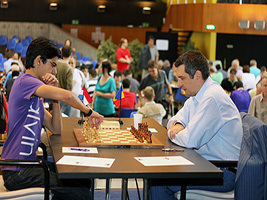 The Biel Chess Festival is currently on in Switzerland. Russia’s Alexander Morozevich has withdrawn from the tournament after two rounds due to ill health. 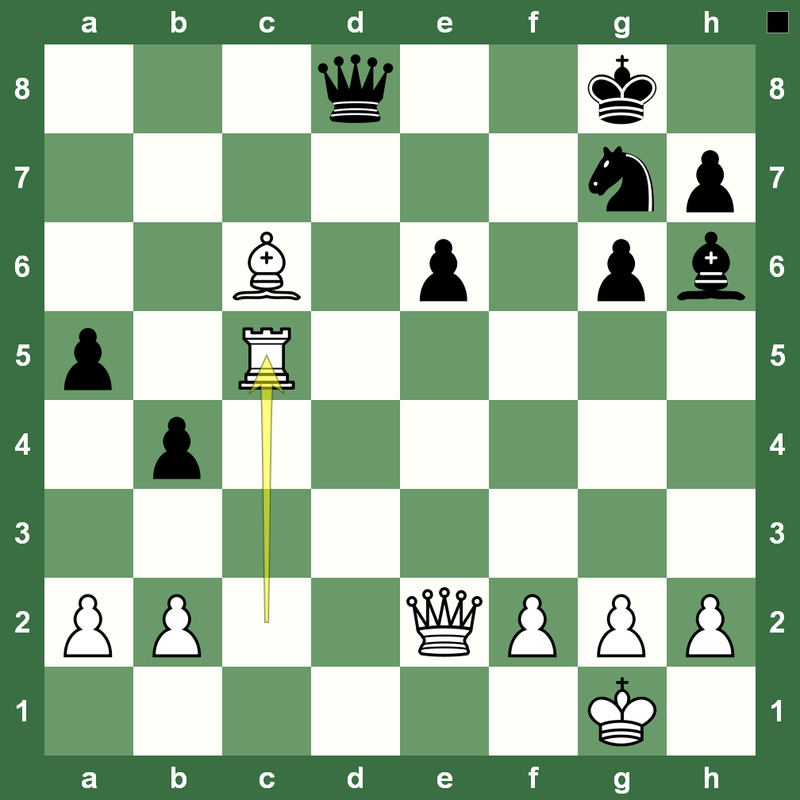 He was not in his elements and that gave the recently-crowned Dutch chess champion Anish Giri to hunt out his King. Replay the game from the first round of the Biel Chess Festival with Chess King. 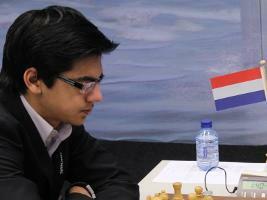 Anish Giri is leading at the Dutch Championship with a nice 4.5/5 lead. Right behind him are Robin Van Kampen, Erwin L’Ami, Ivan Sokolov, Sipke Ernst and Robin Swinkels. 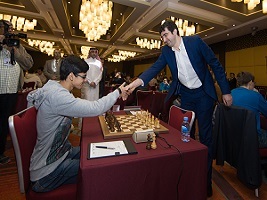 Here is the nice game from Round 1 in which Giri beat Sokolov.